This is Part II of my series on acupuncture. After such dramatic testimony from my friend Mary about how acupuncture changed her daughter’s life, I made an appointment. In truth, I felt quite desperate. I could not shake my addiction to sugar—could not no matter what I tried. I felt as if it were impossible to lose weight. (My weight loss journey started with my first diet at 12, and I have never been successful at making a lifestyle change.) Because of the weight, my knees suffered from osteoarthritis, and my self-esteem was a low as a Texas water well. I am not really sure what I was expecting acupuncture to do for me. I did not have a dramatic story to tell, but I thought, “Why not? What do I have to lose?” So, on a particularly painful day when it hurt my knees when I got out of a chair, I finally called Dr. Bing You and made an appointment. I was now committed. Dr. You is a Chinese medical doctor and highly credentialed. He has received a number of awards, and is a diplomat for the American Academy of Pain Management. He is also a certified in and a professor of acupuncture, Chinese medicine and herbology, and works at Baylor College of Medicine, Rice University, MD Anderson, and several other reputable hospitals in the Houston area. What I liked most about his practice was his philosophy: Synergy of Western and Eastern Medicine. Needless to say, I felt as if I were in professional hands. When I met with Dr. You, the first thing he did was listen attentively to me and take notes regarding all my illnesses. Then, he repeated back to me my on-going symptoms. At the end of this litany, I said, “I’m a mess.” He laughed but said he could help me through use of acupuncture, Chinese herbs, cupping and other methods. I felt a ray of hope, but I was still skeptical because I had tried almost everything Western medicine had to offer including surgery and lots of prescription medicine. The years between 12 and 48 were filled with a mountain of failed attempts to “fix” me. After my medical history intake, Dr. You examined me, but pushing on very specific parts of my spine, knees, and stomach. I have a high tolerance for pain, so I never flinched, but he seemed to identify each sore area on my body. There was a lot of “hums” and “ohs” coming out of him. I didn’t know if that was good or bad, but I figured he was discovering sources of my pain and other issues. Dr. You then told me to lie on my side, and he proceeded to stick very thin needles on my stomach scalp, back, forehead and knees. He did this so quickly, I could hardly tell he had done anything. Once the needles were in, I could not feel them at all. Then, he covered me with a soft blanket, put on some relaxing music, turned out the lights and left. I lay there for a half hour. At first, I found this difficult because I am not used to being idle. Even when I relax at home, I am usually reading or multitasking in some way. So, the first 15 minutes were spent trying to settle myself. Once I relaxed I was able to enjoy the music, pray, and meditate. It was a real gift. When the half hour was up, he came back in, took out all the needles, and I was on my way until the next appointment. I did not think too much about my ailments when I left his office, but halfway home I realized that the arthritis in my neck was gone. I was a bit surprised, but what is more amazing is that it has not returned in the past five months. Moreover, I was relaxed—something I rarely experienced—and my anxiety was nil. By the time I made my 30-minute drive home, I was sold, for no other reason than I felt better. Much of my arthritic pain was gone, my anxiety level was down, and that I slept better than I had in years. All that after just one treatment! 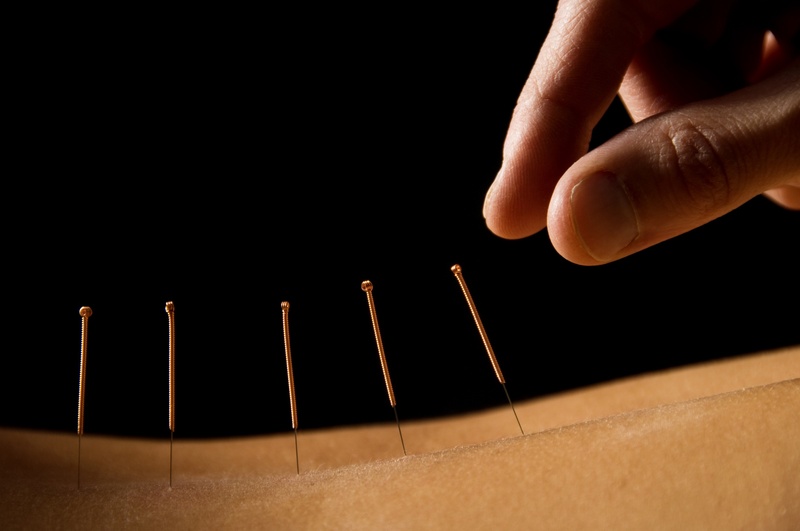 Stay tuned, for more experiences with acupuncture and some research linked to its benefits. That sounds really interesting – love that it affected your arthritic pain straight away and you sleep better. Can you ask him if he knows any contacts who do a similar thing in Sydney. I like that he understands eastern and western medicine. I want to hear more about this, Cara. I’m even considering going to see him. Thanks for sharing! You know, Kate, I think it they had acupuncture during the Salem Witch trials, there would be no talk about den witches at all–no witches to be had. Yes, I will ask about Sydney.